A 'Game of Thrones' themed pre-season player draft is driving the Western Bulldogs' endeavours to return to finals football. It has taken determination and commitment for Matthew Suckling to arrive at game 150. 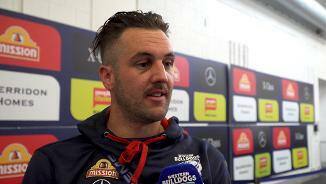 Defender Matthew Suckling says confidence is building at the Kennel as the new season approaches. Matthew Suckling joined the Western Bulldogs as an unrestricted free-agent at during the 2015 AFL Trade Period. Suckling was recruited from the Hawthorn Football Club, in which he was a member of their 2014 and 2015 AFL Premiership sides. With an elite left foot kick, Suckling a medium defender and outside midfielder, is known for his elite kicking ability and work rate. Suckling played 17 games in his first season at the Kennel. 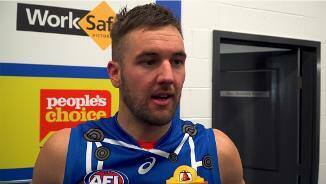 Lured from Hawthorn in 2015, Matthew Suckling notched his 150thAFL game (Round 9) as well as his 50th game in Bulldogs colours (Round 11) in 2018. Suckling played 11 games before an achilles injury ultimately ended his season. He averaged 24.5 possessions and 5.5 marks. In Round 4 against Sydney, he collected 28 disposals and 11 marks. Returning for his 11thseason in 2019, the Bulldogs will welcome Suckling’s long range and accurate left boot. The 2017 season proved to be consistent one for defender, Matthew Suckling. After a troublesome achilles hindered the second half of 2016, the 29-year-old was injury-free and was one of only six players to play all 22 matches. In his ninth season of AFL, Suckling provided his side with his trademark booming left-foot and run off half back. In round 4 against North Melbourne he kicked 2 goals and collected 26 possessions, while in round 22 he kicked a memorable goal from outside 50 against Port Adelaide at Mars Stadium in Balllarat. Suckling averaged 20.8 disposals in 2017 with an efficiency of 77.5%. “It was disappointing to miss the finals off the back of what we built last year. “Personally to play every game, after what was a frustrating year body-wise last season was nice. - Matthew Suckling, September 2017. 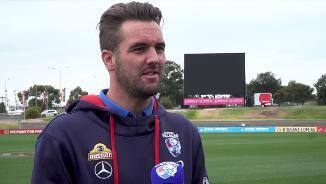 Matthew Suckling impressed in his first year at Victoria University Whitten Oval after crossing from Hawthorn in late 2015, although a troublesome achilles would hinder the second half of his season. The former Hawk burst out of the gates in his new colours, averaging 23 disposals and seven marks per game between rounds 1-4, before knee and ankle injuries suffered in the round five win over the Lions at Etihad Stadium would see him miss a month of football. Suckling returned to face Collingwood in round 10 and picked up where he left off, submitting arguably two of his best games of the season over the next three weeks; a 28 disposal seven mark outing against the Eagles and a 26 touch, nine mark performance against Geelong. But it would be the story of the 28-year old’s season; a solid patch of football before an injury setback. Suckling would not play again after the semi-final win over Hawthorn. 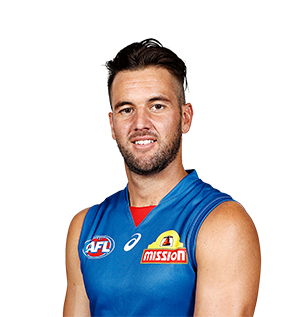 Suckling averaged career highs in disposal efficiency (79.5%), average intercept possessions per game (3.5) and ranked fifth at the Club in average metres gained per contest. “My season was a bit up and down. “I thought I started really well, then I missed a month with injury.